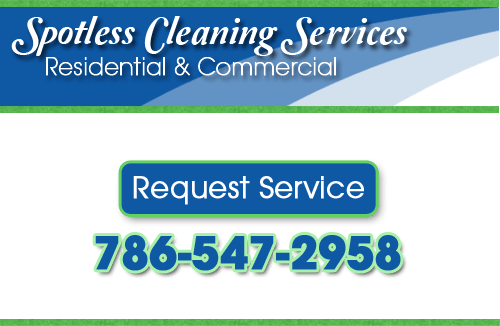 At Spotless Cleaning Services in Miami Beach, Fl, we offer a full-range of cleaning services to meet the needs of any individual or business. With completely personalized services, we’ll get exactly what you need done, whether it’s weekly or monthly services, or a one-time intensive clean. You create the job, we perform it. We can also work with any kind of property, so whether the job is big or small, we’re ready to take it on. Your home is a part of Miami Beach, and so is our Miami Beach cleaning company. That’s why we always use safe, eco-friendly cleaning products and procedures. We’ll always meet local health regulations and make sure your family is safe. We can also offer additional products and techniques in case any of your household experiences problems with allergies, immune system sensitivities, or any other complications. Let us know exactly what you need, and we’ll modify your services or perform additional services. Call us to set up an appointment, and tell us what you need! 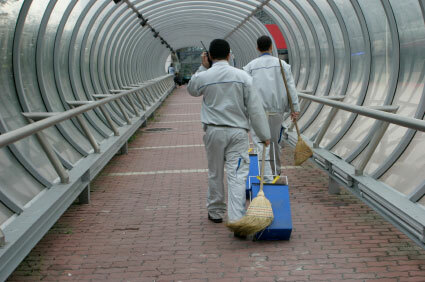 Our Miami Beach cleaning services cover a wide range, and even our residential services could be used by nearly anyone. Whether you’re busy, stressed, have mobility complications, or maybe you’ve just gotten behind on your cleaning, our goal is to take home cleaning away from your list of problems. We can clean your home weekly or monthly—or we can do a single intensive cleaning to get you caught up again. At Spotless Cleaning Services, we love the details. We’ll cover everything, all the way down to carpets and hardwood floors, baseboards, and walls. We can also steam clean your drapes, which go overlooked in lots of homes. Drapes often can’t be machine washed and the dust they gather can cause breathing complications, especially if anyone in your home has allergies or asthma. Call us for the services that suit you and see what a difference a truly clean home can make. Spotless Cleaning Services can help renters and landlords alike save money and get the most out of their property. With move-in/move-out ready cleanings, we can help you get a fresh start, revitalize a property for sale/rent, or avoid the sometimes hefty fees renters can suffer by leaving property unclean. We can also clean vacation rental properties between renters during the busier summer months. This way you can spend less time getting ready for new renters, and more time renting the property. We also offer discounts to owners with multiple properties. Let us make sure your property is pristine by calling for an appointment today. Maintaining a clean commercial can be especially difficult. Several people occupying one space, carpeting, multiple work-spaces and break rooms, can all make cleaning difficult to keep up with. Our Miami Beach cleaning services can take this off your—and your employees’—hands. We can clean any commercial space and have the industrial strength products and techniques to do so professionally and safely. Miami Boat Cleaning - Squids and Swabs or Tar and Jack Tar? Looking for professional maid services in the Miami Beach, FL area? We’ve got you covered! Call Spotless Cleaning Services today at 786-547-2958, or complete our online request form.